I have a very patient roommate. Let's call her Patience! She's fine with my crazy living room workouts. She puts up with my obsessive baking. She listens to me talk. And talk. And talk. And talk. And sometimes cry. But mostly talk. Last week I made a pie. 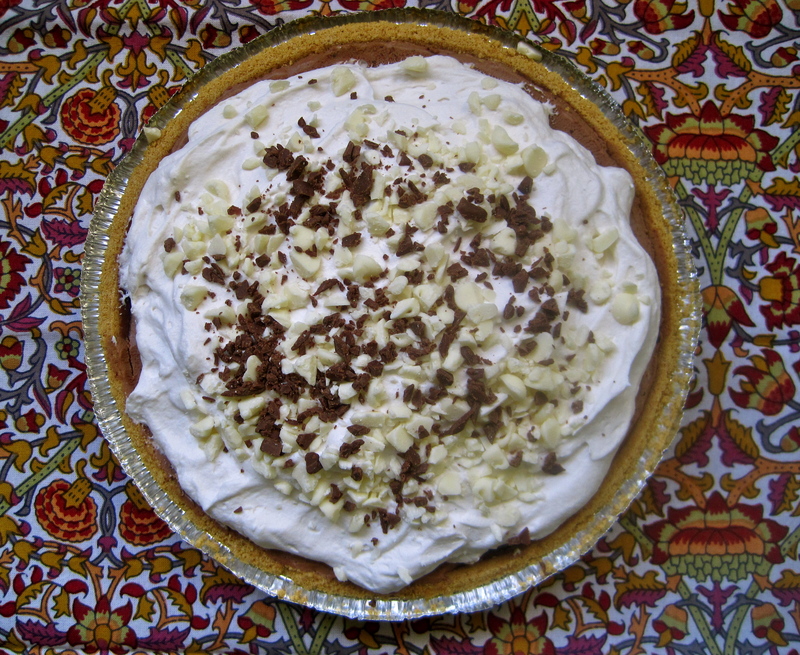 I made a delicious, simple, rich, decadent chocolate pie. 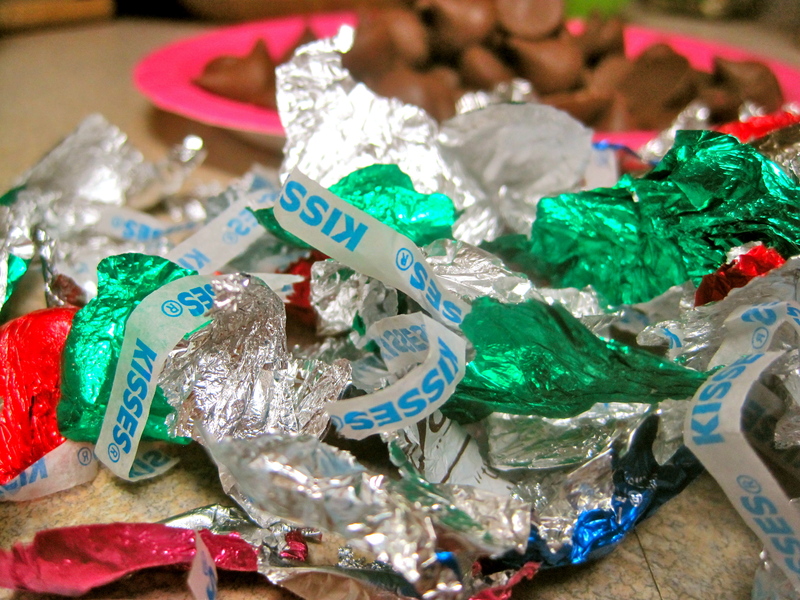 I made it with a ton of Hershey kisses and other random chocolate that was floating around my apartment because I was too cheap to actually buy a bag of chocolate chips. I promised my roomie a slice of said pie, proclaiming to her that "it would be the most delicious dessert to ever grace her mouth" (Okay, maybe I didn't say it exactly that way). I went on and on about this pie. Praising it, photographing it, tasting it. It was light and creamy, smooth and sweet, and oh so easy on the eyes (Yes, I'm still talking pie here, not him). ... mixed with chocolate. Who wouldn't love it? So today - nearly a week after the chocolatey masterpiece of all things good and wonderful in the world had been eaten - my roommate asked: "So about that pie that you promised me, I never got to try it..."
"What?!?!?! ", I answered incredulously. And then the horrible truth dawned on me. I forgot to save her a piece. I've realized there is really only one way to remedy this dire predicament. Let her look at all my pretty pictures. And you know that I can never turn down making something sweet. 1. For the bottom layer: In a small pot over medium heat, place 2/3 cup heavy cream. 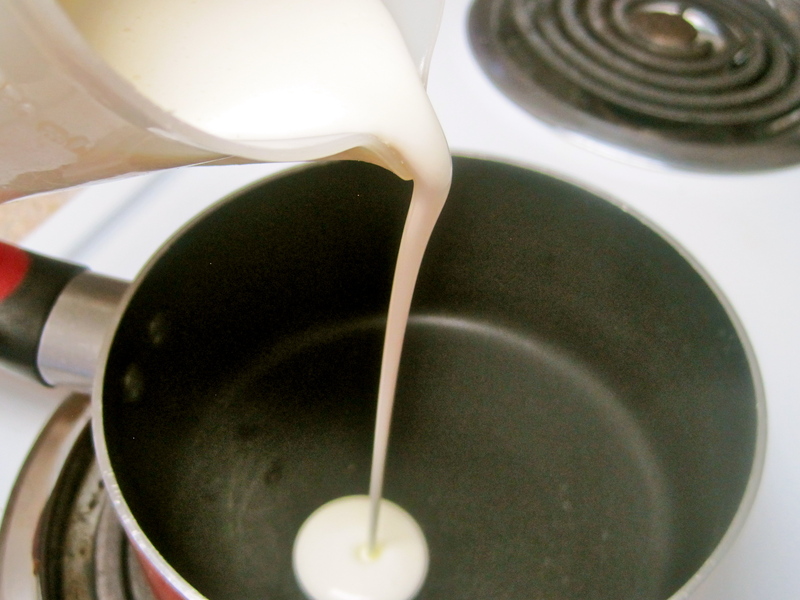 Heat until heavy cream starts to simmer. Watch it because it can boil up very quickly. Remove from heat. Add 6 oz. of chocolate and cover pot. Let sit undisturbed for 5 minutes. After, whisk chocolate and cream until smooth. Mix in cocoa powder if you like a darker chocolate flavor. Pour mixture into crust and refrigerate for at least 1 hour. 2. 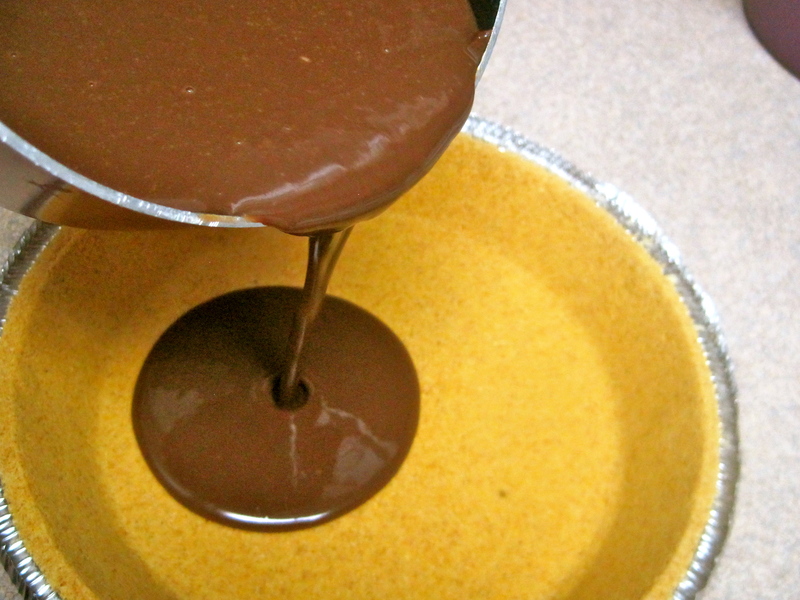 For the center layer: In a heat proof glass bowl, place 6 oz. 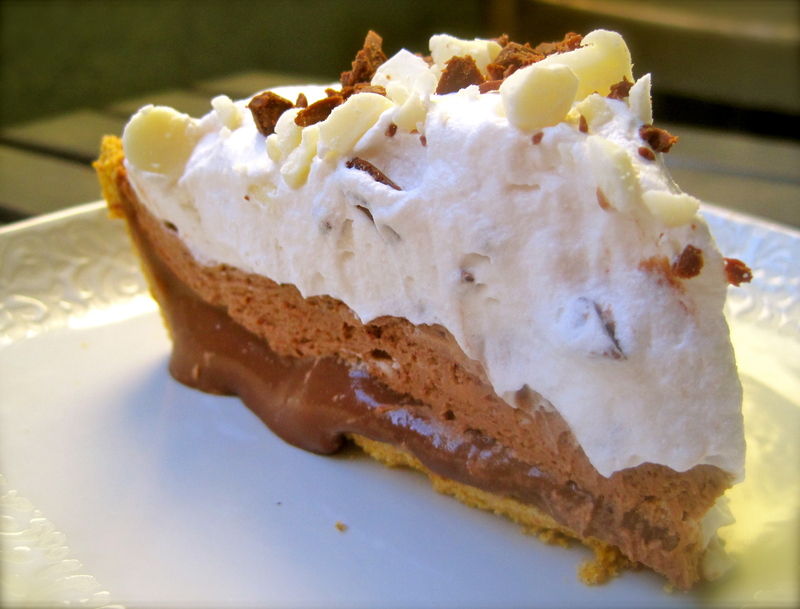 of chocolate and 1/2 cup of the 1-1/3 cups of heavy cream (save the rest for whipping). Place bowl over a small pot of simmering water making sure the bottom of the bowl doesn't touch the water. Let the chocolate and cream melt together, stirring often. Once melted, remove the bowl and allow to cool to room temperature. Meanwhile, whip the last bit of heavy cream in a chilled bowl until the mixture is thick. Gently fold the whipped cream into the cooled chocolate mixture. 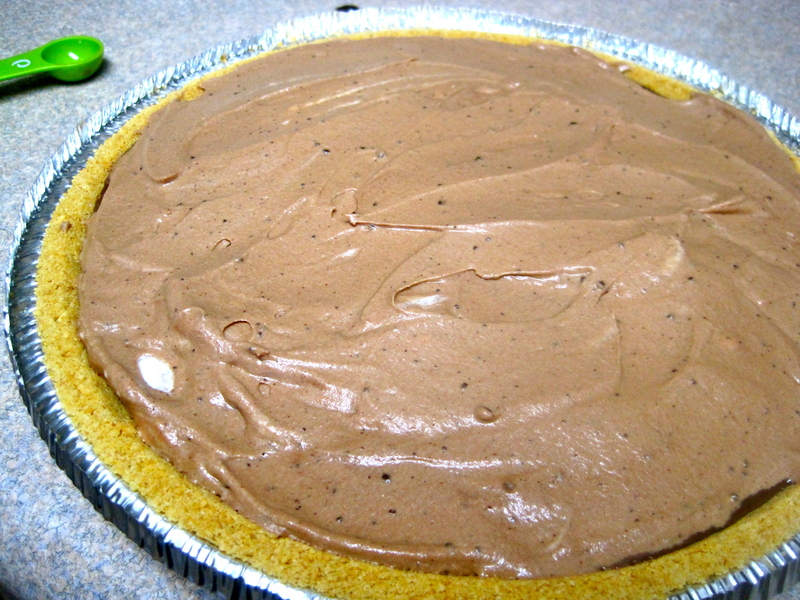 Fold in about 1/2 to 3/4 cup of the whipped topping to lighten it more. Place in fridge overnight. 3. 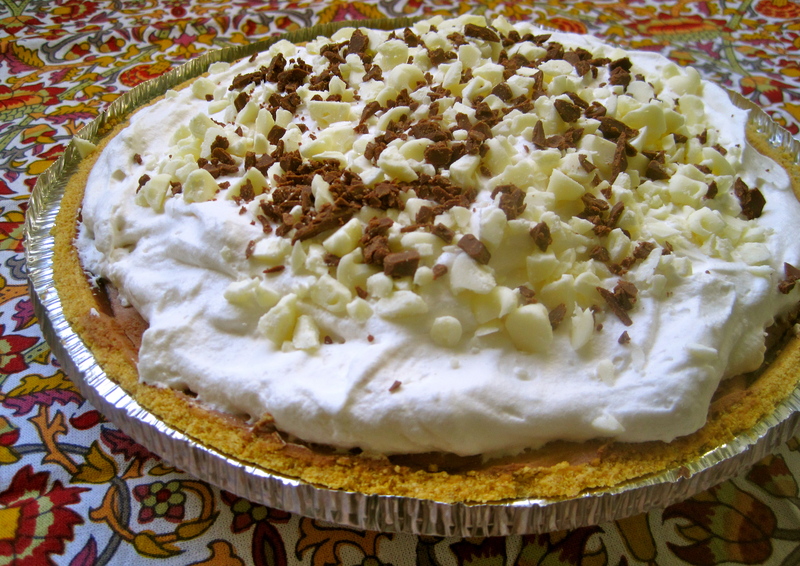 To finish: Spread the remaining whipped topping on the pie. 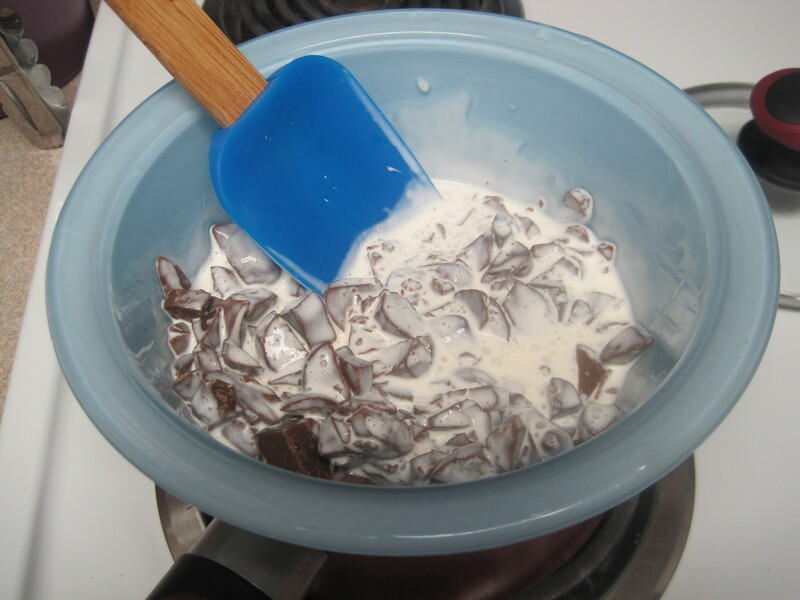 Sprinkle with chocolate pieces. Serve immediately.